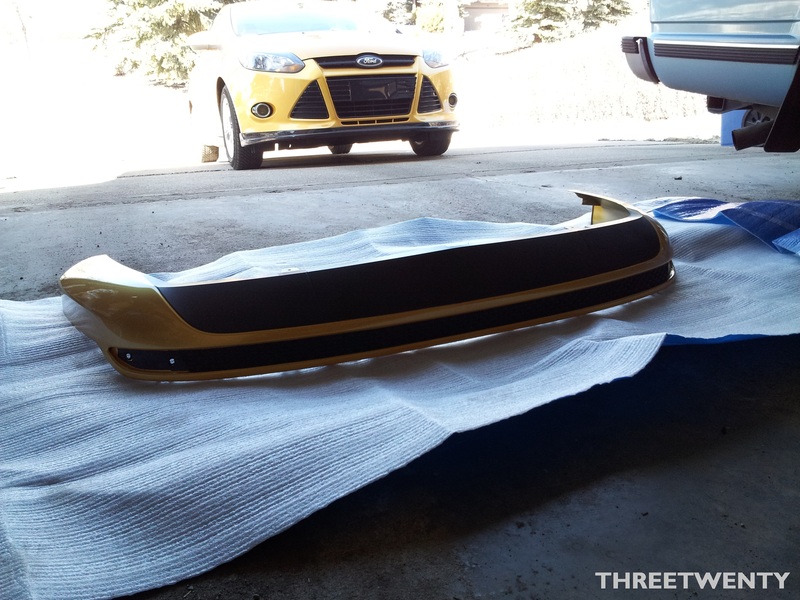 With a front lip and now the side skirts installed, the rear of the Focus still needed attention. Unfortunately, having a sedan limits options for a rear valance. Currently, the OEM and 3D Carbon pieces are the only choices. In comparison, the hatches have OEM from standard and ST models, 3D Carbon, Downforce USA, OEM Zetec S, and so on. New sedan parts will be coming later this year but with an early May deadline, I had to choose from one of the two current offerings. 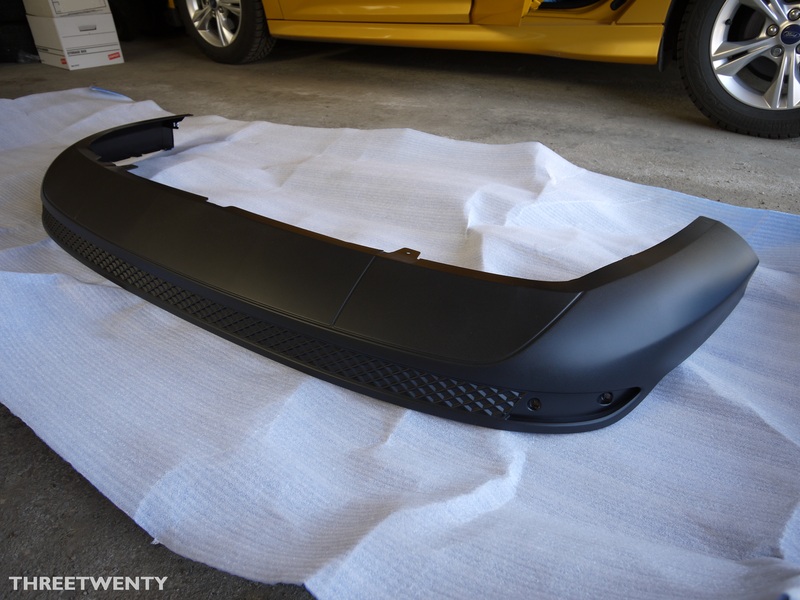 I still wasn’t 100% sold on the 3D Carbon design and it was much more expensive than an OEM piece, so I ordered the factory part since I had a plan in mind for its paint scheme. 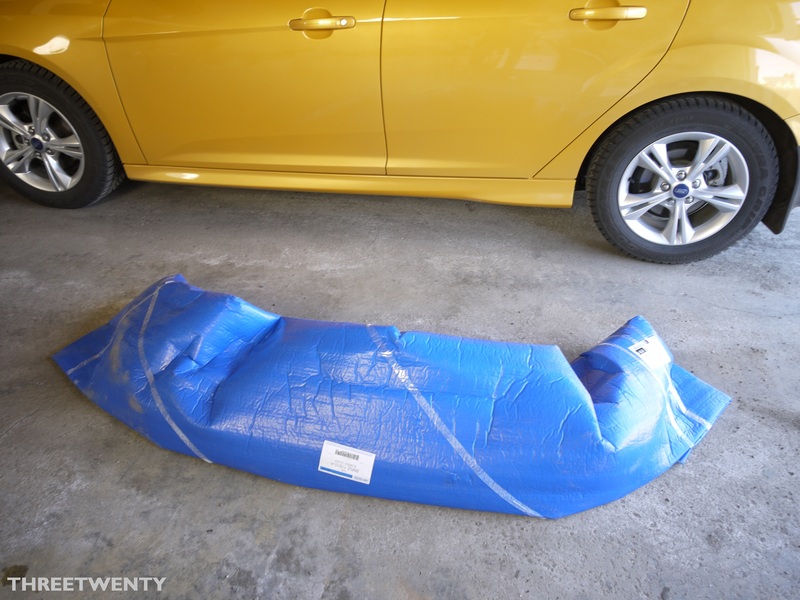 It quickly arrived and I unwrapped it to check it over. All looked good so I then handed it over to the body shop and explained the idea I had in mind. Today they called to let me know it was ready to be picked up, so I headed over right away. The picture below is a cell phone picture, sorry. The paint scheme is one that has been done a time or two before on these valances. Because the factory exhaust is tiny and has a hidden tip, I didn’t want to highlight that by having the whole piece painted. Following the factory design, the central portion was left unpainted for contrast and to hide the lack of a proper exhaust tip. As well, the cross-hatch pattern between the reflectors was left alone. These are textured from the factory so to smooth that area would take far too much time and effort. The rest was sanded down though and then painted and cleared. 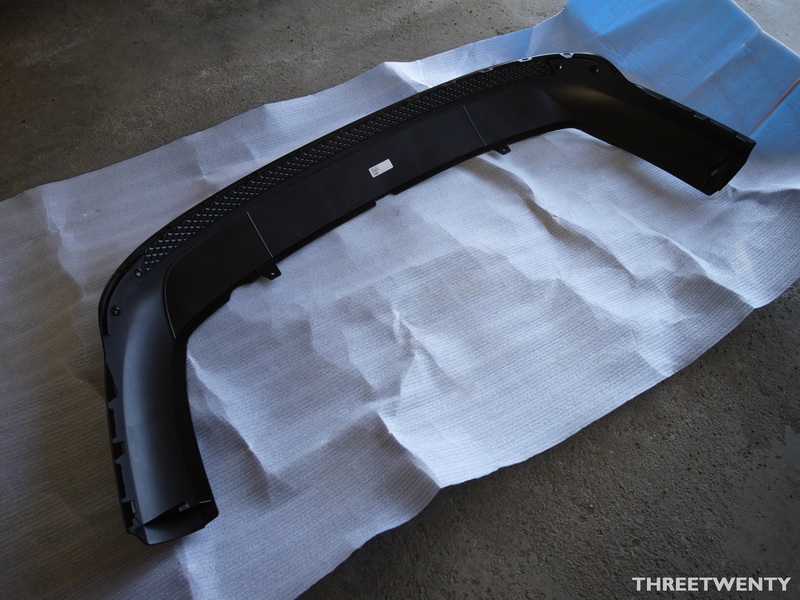 As much as I want to install this now, it will wait for a little bit and then be given a bit of 3M along the bottom since the mud flaps will come off when it’s installed. Thanks to Stampede Collision for taking care of the painting, once again!